Finding the appropriate talent for your organization at an affordable price has become a formidable task. With dozens of job boards options that do everything from a job posting to finally hiring the candidate, how is one to choose which platform will benefit their firm the most? 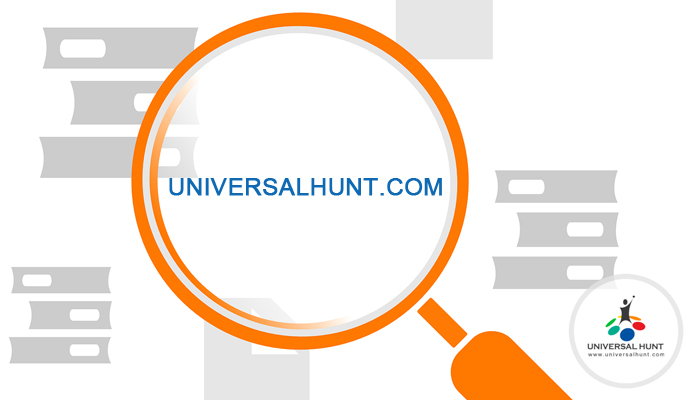 Well, you’re in luck; Universalhunt.com, a leading global professional networking and career platform is here to help you in your talent search for the best professionals from the millions of profiles around the globe. Unlike a conventional job board, Universalhunt.com is a free networking platform for individuals and companies to share information and connect for a professional career and business growth. 1) It is a global platform catering across countries, industries, and nationalities; practically creating a boundary-less professional community. 2) It is a two in one model. The combination of Professional Networking and Career Portal. 3) A Free platform for all users with the best privacy features. 4) The professional profile contains information beyond the resume. 5) Latest technology used for uninterrupted and speedy execution of activities. 6)Extremely refined advanced search logics for both Job Search as well as Candidate Search for most relevant output against search criteria. 7) Easy to use for large corporates and recruitment consultants because of separate company log-ins allowing confidentiality and clear demarcation of ownership. 8) Unique features like video resumes will enable companies to conclude on candidate selection without spending to meet the candidate in person. 9) Universalhunt.com’s recruitment app makes it easier for you to manage your entire hiring process on the go right you download our recruitment app. 10) With the help of our unique feature called “Profile Ratings” will help you in assessing the candidate’s profile. Universalhunt.com will help you and your company in your recruiting journey to utilize the platform that works best within your business plan. Register your company now to get the best-qualified professionals from the millions of profiles to get on your way to recruiting success!